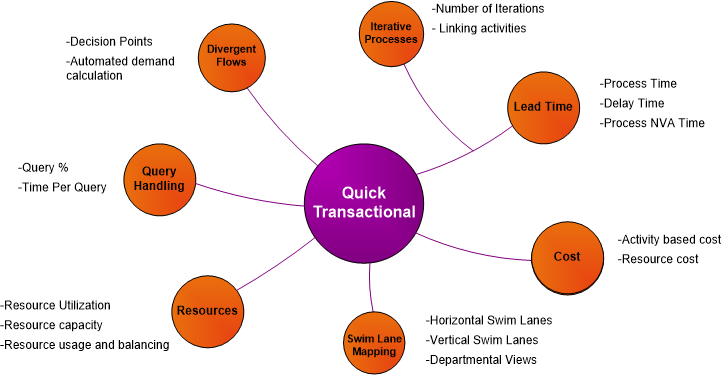 Quick Transactional Pro is one of eVSM’s Quick Stencils and supports transactional value streams and includes concepts of decisions, loops, splits, merges, shared resources across activities, resource balancing charts, and activity based costing. Calculate the resource requirements for both Hotline and Level 2 Staff for holiday peak demand of 125/day and with 5% higher items being sent for escalated support. What is the current Lead Time for items going through Escalated Support? Some of the support requests are rejected at Review because of incorrect routing, typically at 10%. Show the impact on the map. There is a lot of variation in the number of patients per day and also in the review and support turnaround time. 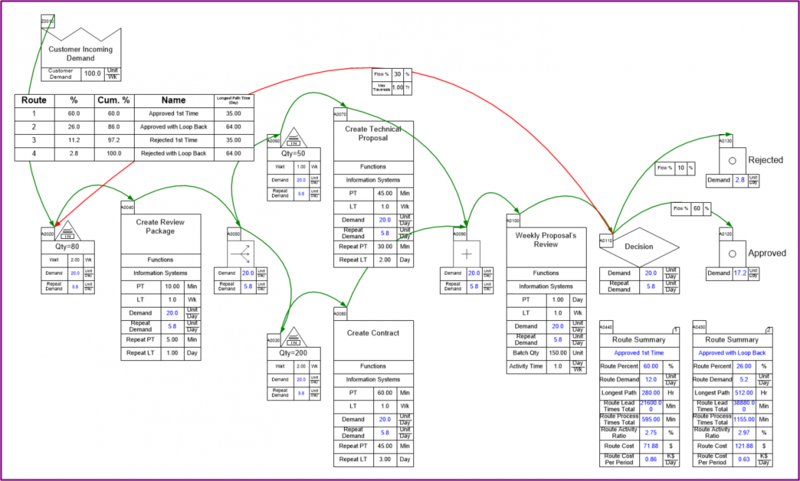 How can you handle this on a VSM?